There’s no denying that this season the 90’s grunge mood has taken hold, I find myself climbing into my quilted leather jacket every chance I get (my mum recently commented ‘Ooo that’s very lairy‘ – not quite what I was going for but anyway), and can’t wait to pair it with some DIYed tartan (more on that later). 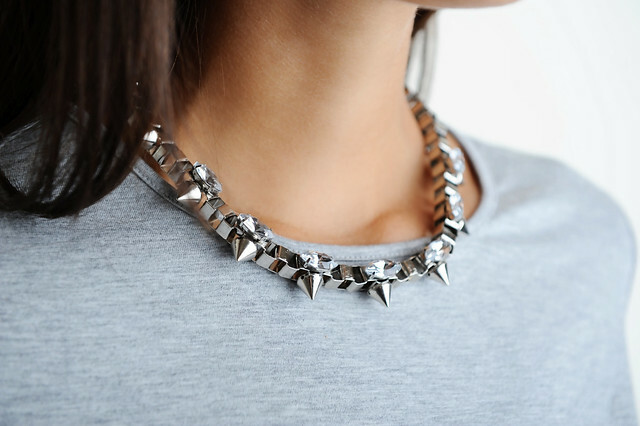 Of course, it wouldn’t be grunge without chain and studs, but sometimes you also want a bit of sparkle, particularly at this time of year. 1. Start by measuring the right length of box chain and shortening if required (do this by opening the links using plyers). 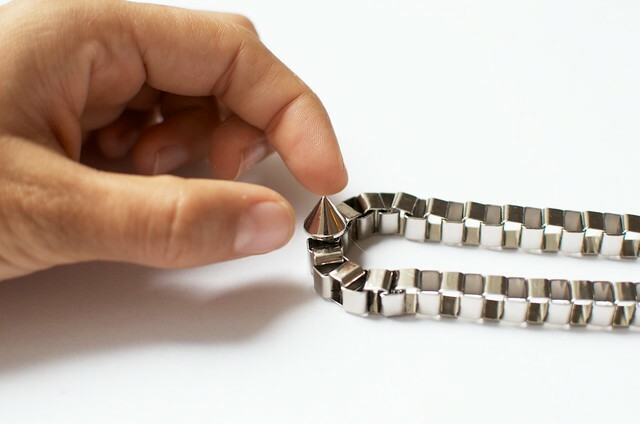 Then find the middle point by folding it in half. 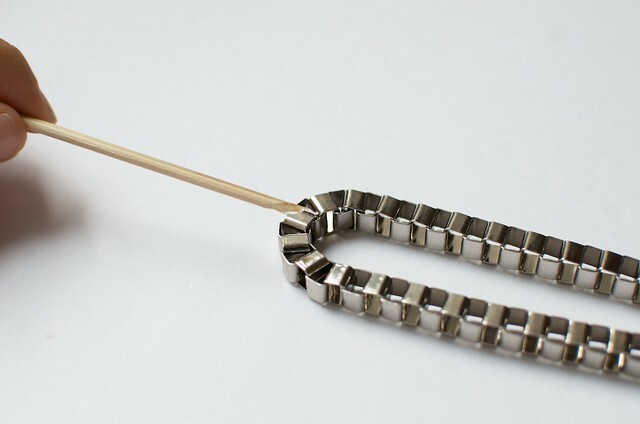 Using the skewer, use place some glue on the top of the chain on the middle link. 2. Add the stud bead and press down. 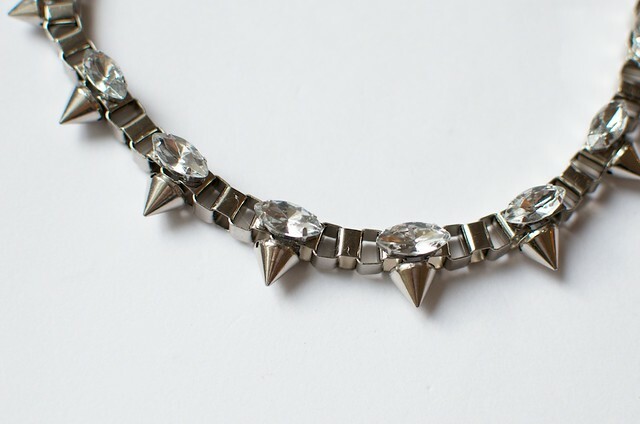 Continue this all the way around, leaving equal gaps between the studs. 3. 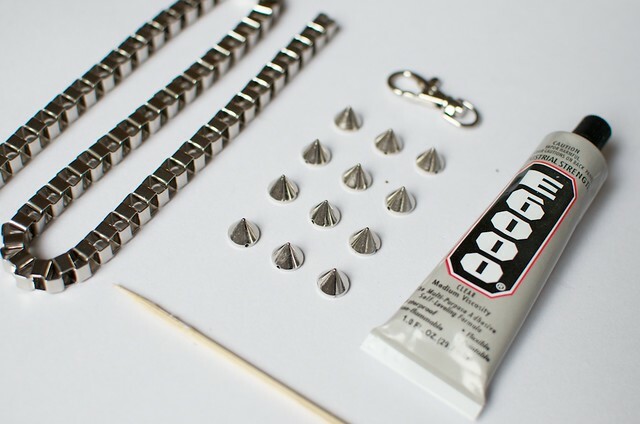 Turn the chain over so the studs are pointing down and then add the rhinestones in a similar way with the skewer and glue to the top side, placing them above the studs. 4. 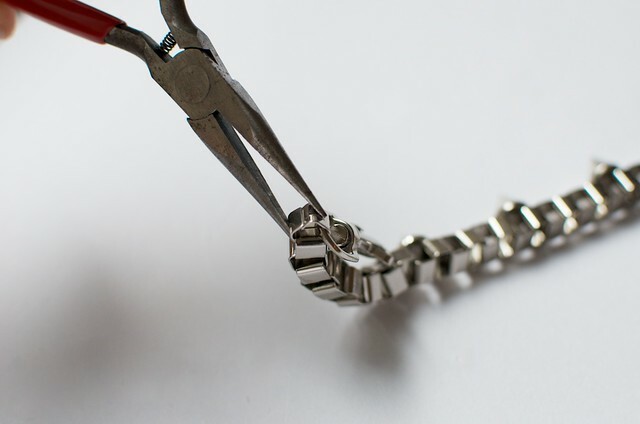 Once you have finished adding the rhinestones, open up each end of the box chain using plyers. 5. 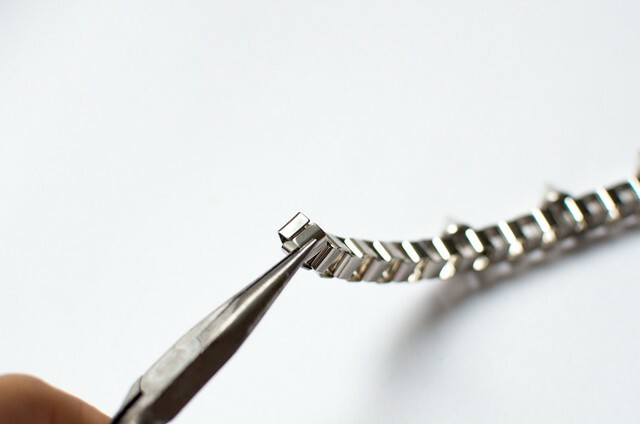 Add the jump ring to one end and close shut, and the jump ring and clasp to the other end and close shut.